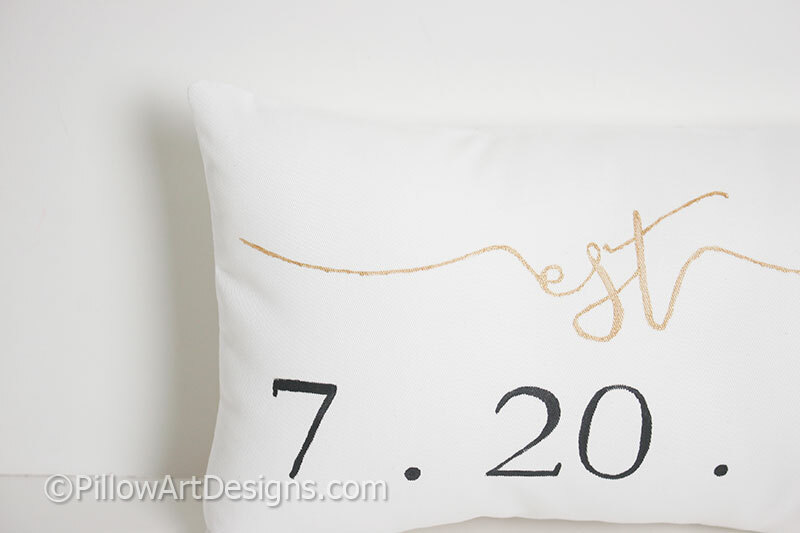 Mini pillow with Est hand painted in metallic gold cursive font above date numbers in black. Pillow measures 8 X 12 inches, comes stuffed with hi loft polyester fiberfill, no need for an insert. 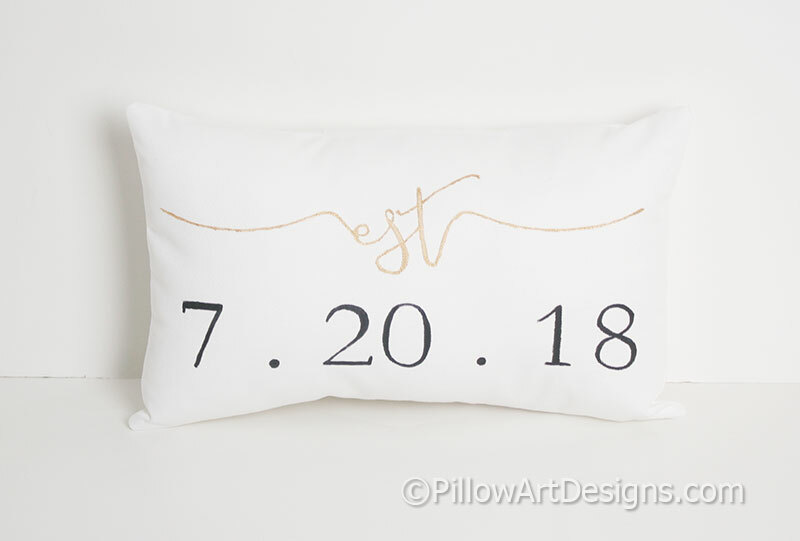 To order, purchase this listing and remember to send me a note with the date numbers for the front of your pillow. Please allow me 3-5 business days to complete your order.